As for the The Long Goodbye (from my second favorite Chandler novel), director Robert Altman’s choices to set the movie in the 1970s and cast curly-haired not-so-tough-guy Elliott Gould lost me at hello. Altman was no doubt trying to play against type and make Chandler traditionalists uncomfortable, and he definitely succeeded in my case–to the tune of I could never make it through more than half of the movie (and usually not even the inexplicable love affair with a cat that takes up the first ten minutes). 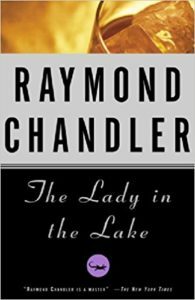 The only Philip Marlowe movie that Chandler even attempted to script himself was The Lady in the Lake, a 1947 version with an innovative but irritating first-person perspective that fortunately did not catch on. 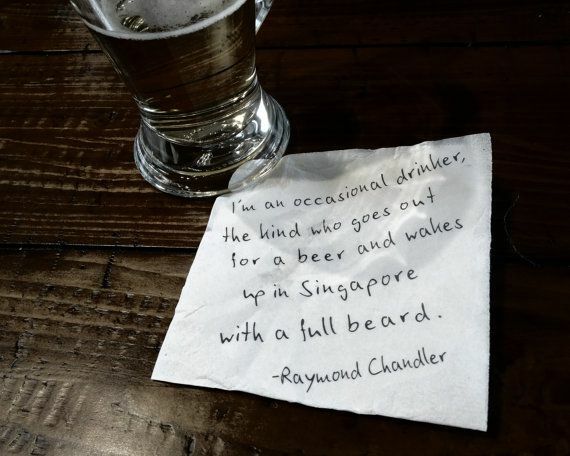 It’s probably good that Chandler gave up on writing the script after only a few weeks, because he kept wanting to change the plot and characters from the novel. The producers gave him hell about it (one of the few times in history they were smarter than the writer), and he got frustrated and quit the project. That leads me (finally) to the meaning of my title above… the best Chandler movie ever will be a new one that makes use of the best techniques of modern cinema to recreate the Los Angeles of the 1940s, takes out a few hackneyed parts of the plot and dialogue, but leaves the rest exactly as the legendary author wrote it. It will be from The Lady in the Lake (my favorite for several reasons), and I would love to write it. Unfortunately, I checked with the agency that manages the rights to Chandler’s works, and the rights to the novel are currently unavailable, so it can’t be done until something changes with that. Oh well…in the meantime I’ll picture the movie in my mind every time I re-read the book.